Utit-Ofon Idara Ibangha takes a detailed look at AC Milan’s season so far under their new boss, Vincenzo Montella. This article is the first of a two part series. 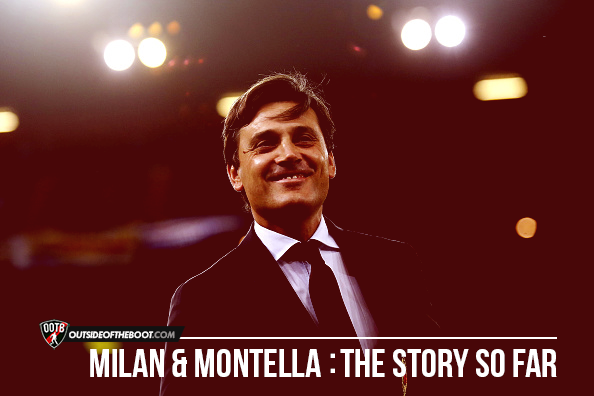 In July 2016, AC Milan appointed Vincenzo Montella as the club’s new head coach. It was an appointment long overdue and the ex-Roma forward arrived with plenty of hype surrounding him. 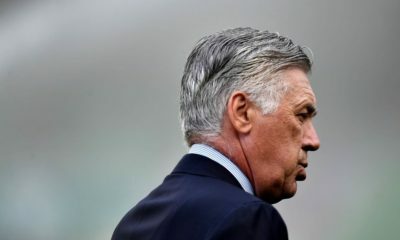 In three years in charge at Fiorentina, he managed to achieve 4th place finishes despite having to deal with the sale of the club’s best players and his insistence on an entertaining brand of football promised Milanisti more than just results to cheer for. The expected sale of the club to new owners didn’t happen fast enough and Milan ended up having to give up on a number of its primary targets. Gianluca Lapadula arrived from Pescara after ending the Serie B season as Top scorer. Carlos Bacca’s proposed move to West Ham fell through twice and funds were difficult to generate. 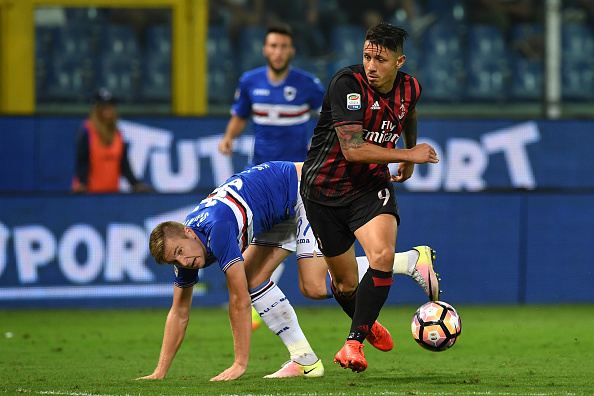 Gustavo Gomez was signed after Mateo Mussachio’s transfer fee could not be sourced but even more painful was the fact that Milan could not sign any of Zielinski, Badelj or Paredes. 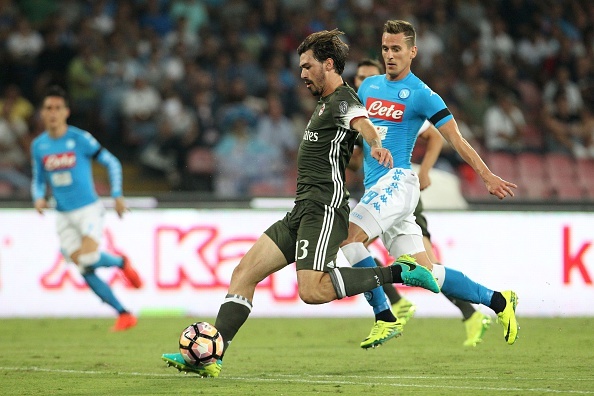 Instead Jose Sosa swapped Besiktas for the San Siro, Mario Pasalic was signed on loan and Montella convinced Mati Fernandez to join from Fiorentina on deadline day. There’s a particular positive feeling among the fans this season and it’s the fact that the club actually looks to be planning towards the future with a good number of youngsters in the first team at the moment. Perhaps the most impressive so far has been 18-year old goal keeping sensation Gianluigi Donnarumma. The youngster made his debut last season and quickly cemented his place in the team’s starting XI with a number of very good performances. Standing at 1.96m tall, the born shot stopper possesses incredible reflexes and is capable of pulling off breath taking saves. He made more saves (10) in a single game last season than any other keeper in Serie A and this season his relevance, reliability and reputation just keep improving. His meteoric rise was evident from match day one after he saved last minute penalty to deny Torino a point at the San Siro. Interestingly, The Granata are now managed by Sinisa Mihajlovic, the man who gave Donnaarumma his debut last season and the Serbian put on a rueful smile after the young goalkeeping sensation prevented his team from earning a last minute draw. Gabriel is second choice and though he did get a chance to play in pre-season, the Brazillian’s performances did little to inspire confidence and he’s yet to feature in a league game this season. 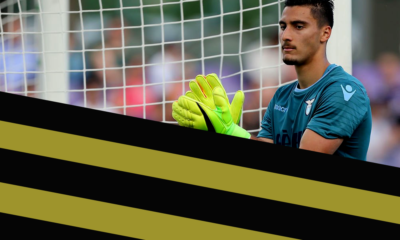 Alessandro Plizzarri has followed Donnarumma’s footsteps in making it into the first team at a young team and is the third choice goal keeper. Milan’s defence no longer strikes fear into the heart’s of attackers and weakness at the back was a major problem for the Rossoneri last season. The team shipped 49 goals last season and this was down to inconsistency, incoherence and a lack of quality defenders. The season might be only seven games old but there is a certain assured feeling about the defence already. The backline has also kept three clean sheets, all in a row and against Sampdoria, Lazio and Fiorentina. In the corresponding fixtures last season, Milan conceded 5 goals, received two red cards and where either poor or average. 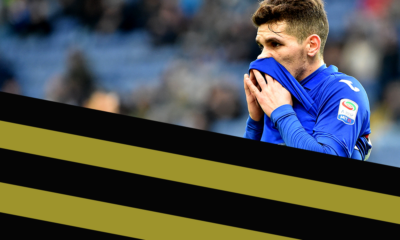 The new found confidence in defence has been down in part to Gabriel Paletta’s experience and determination to prove that he deserves to have a place in the starting XI having spent last season on loan at Atalanta and Alessio Romagnoli’s steady improvement. The former isn’t blessed with pace and whenever he’s had to turn and chase a forward, it’s a remake of the exorcist, but the 30-year old is not shy to put in a tackle and currently makes 1.5 per game. The latter is much younger and is one of the first team players aged 22 and below. While he still has a lot to learn, the ex-Roma man is proving his worth and living up his increasing reputation making 2 tackles and 1.5 blocks per game. Gustavo Gomez is the most athletic of the three but is yet to adapt to the Italian game, he averages 1 tackle and 1.3 interceptions per game, not bad for a young defender playing in his first Serie A season. There are currently five options for the full back slots with two (Calabria and De Sciglio) capable of playing on either flank. Ignazio Abate’s speed and offensive contribution (0.8 crosses and 1 key pass per game) make him a valuable asset on offence but he’s weak in 1v1 situations and His recent horror show against Sassuolo has done his chances more harm than good, meanwhile no Milan player has been dribbled past more times per game this season (1.5) than 19-year old Davide Calabria but 2.3 tackes and 1.3 interceptions per game are better than Abate’s return of 2.4 and 0.6 respectively, the academy graduate who started the season at right-back is capable of playing on either side. Mattia De Sciglio looks to have regained his confidence following a strong showing at EURO 2016 and two footed full back once touted as “the new Maldini” is slowly rebuilding his reputation. Only Kucka has won more aerial duels than his 2.4. Luca Antonelli was one of Milan’s better performers last season and the former Genoa man has also started the season well. 2.3 tackles, 2 clearances and 0.7 blocks show just valuable he is. Leonel Vangioni who arrived on a free transfer from River Plate is yet to play a competitive game for his new club. Milan’s midfield was heavily criticized last season for being unable to create enough chances for the forwards and provide sufficient protection for the defence. Captain Ricardo Montolivo divides opinion among Milan faithful with a section of the fans believing the former Fiorentina man is to slow, offers little going forward and contributes next to nothing in defensive phase. Some however feel he is over criticized and that his below par performances are due to recent injury issues and a lack of decent midfield partners. Last season no Milan player made more interceptions and only De Roon managed more in Serie A. A pass completion percentage of 86.3% is bettered by only Poli(92.9%) but the ex-Sampdoria man has only played 105 minutes of football and his 2 interceptions per game is better than that of any other teammate. Additionally only Paletta(5.8) is playing more accurate long balls per game than Monty’s 3.7 . The much maligned skipper is also instrumental in motivating the side and his action of picking Rodrigo Ely up after the defender had scored an own goal in the 4-0 loss to Napoli last season, exemplifies his commitment to the cause and willingness to take the stick for the team but having damaged his anterior cruciate ligament while on national team duty, the door might just open for another academy graduate making waves in the first team. 18-year old Manuel Locatelli scored his first goal for Milan in the 4-3 win over Sassuolo and the tears of joy were more than just touching, it made goose bumps appear on even the curva sud and a goal from magnificent half volley to equal the game at 3-3 was more than enough reward for a boy who has worked hard to make it into the first team. Locatelli made his debut last season against AS Roma and it proved to be a baptism of fire the youngster who was completely overwhelmed by the sheer quality of the opposition midfield. He’s made five appearances already this season showing a nice touch, good positioning, composure on the ball and an eye for the spectacular pass. He still has a long way to go and a starting spot might just be one step too far for the youngster. Instead, summer signing Jose Sosa looks set to move into that role. The Argentine has spent much of his career playing as an attacking midfielder or winger and even admitted the transition to a deeper role would not be an easy task. Sosa is blessed with great technique, excellent dribbling skills and an eye catching ability to hold off pressure from his marker. However, playing in front of the defence requires a different skill set and though his creative instinct means there would be more purposeful football from Milan, his defensive ability remains in question. In front of the midfield anchor, Montella has played Juraj Kucka and Giacomo Bonaventura and both men have proved just why they are guaranteed starters when fit. The Slovakian is renowned for his extraordinary work rate and his never say die attitude has endeared him to the Milan faithful. 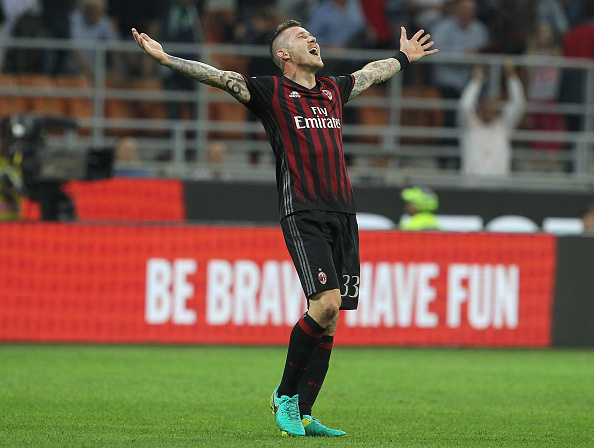 He leads the team in aerial duels per game (3.2) and is making more tackles (2.6) per game than any other team mate, 1.8 interceptions ranks second in the team and his absence was surely felt as Milan lacked drive and grit in midfield against Udinese, a game the Rossoneri lost 1-0. 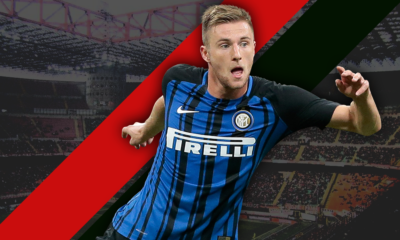 Another ex-Genoa player in the squad, he possesses an engine for a heart and his work ethic is rivaled by very few in Serie A. Bonaventura was Milan’s best player last season and though the former Atalanta man has not had a great start to the season, he still remains a vital cog in the Milan wheel. “Jack” has 1 goal from 2.6 shots per game, 1.3 key passes and 1 assist means his influence in the attacking third has somewhat reduced, 2.1 dribbles shows a positive forward play and having being 1.7 fouled times, he’s both good at running at defenders and evading them. His defensive work remains a weak point though, 1.1 tackles and 1.3 interceptions are poor returns but when you’ve got a workhorse and an astute reader of the game as partners, it’s only to be expected. The forward trio has been perhaps the most impressive department of the team so far having scored 9 of Milan’s 12 goals this season. Indeed the trio complement each other so well that the absence of any has seen the others struggle. Niang’s moment of madness had him sent off against Napoli and Bacca and Suso struggled against Udinese. The Frenchman has the pace to burn and his willingness to take on defenders is just one of his numerous attributes. Formerly of Caen, he has scored twice and set up two more and an average of 2.8 shots per game shows he’s not afraid to have a crack at goal. He’s completed a mere 1.2 dribbles per game but when you consider that he’s fouled at an average of 2.5 games per game, it shows just how much of thorn in the flesh he is to opposition defenders and how many times he’s gotten the team into dangerous positions. After coming on at half-time against Sassuolo, his ball retention ability proved crucial. First, he won a penalty then won a free kick which was saved and Milan scored from the resultant corner. He’s also very two footed, both assists have come from his weaker foot and he contributes much in attack with 1.5 key passes and 0.9 crosses per game. Another player who benefited from a loan move to Genoa was Spanish winger Suso. With an astonishing close control, brilliant agility and the ability to ease past defenders, Suso is finally living up to expectation at San Siro. The ex-Liverpool winger has a goal and 2 assists and is hitting 2 shots per game. His tendency to drift inside is key and his awareness of space means his positioning in the halfspace between the lines. 1.6 key passes 2 dribbles 0.7 crosses per game establishes his desire to take control of the game, fearlessness, return to form and increase in confidence. Colombian forward Carlos Bacca is once again proving his worth for the Rossoneri. 6 goals in 7 Serie A games including an opening day hattrick against former boss Mihajlovic’s Torino was a clear statement of intent. After twice turning down the chance to join West Ham, he set about doing what he does best- scoring goals. An average of 2.1 shots per game echo his accuracy and provided he can stay fit will be spearhead the team’s attack. Luiz Adriano and Gianluca Lapadula provide backup and interesting competition. All stats courtesy of whoscored.com, and correct as of the end of Match Day 7. Michael Ibangha is an aspiring football coach. A true Milanista with an insatiable appetite for the game, he enjoys talking tactics and playing as a deep-lying playmaker.